Today is an awesome day at the Hair Cuttery located in the Marketplace at Tech Center as you can see. 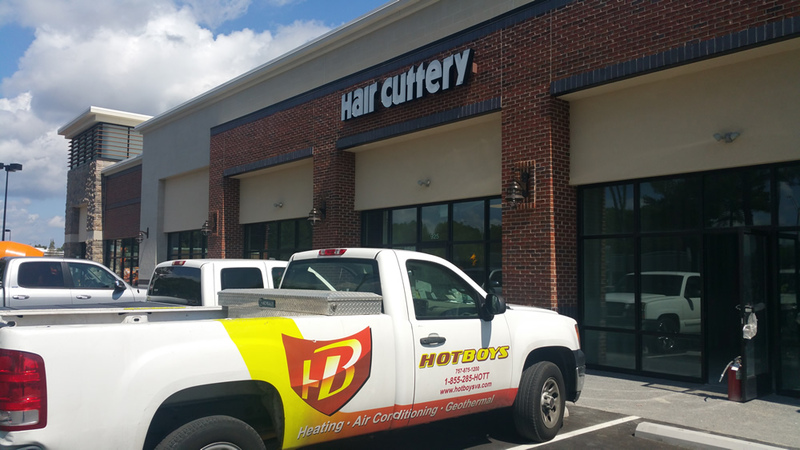 This store recently opened and Hotboys was proud to be a part of building it. 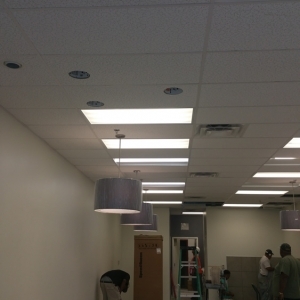 Mike Pincus from Pincus Construction along with WM Jordan and Hotboys collaborated on this project in Newport News’ newest commercial and retail business park, the Marketplace at Tech Center. 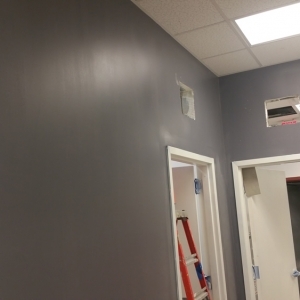 Hotboys provided a high-quality installation engineered to deliver precise energy efficient comfort. 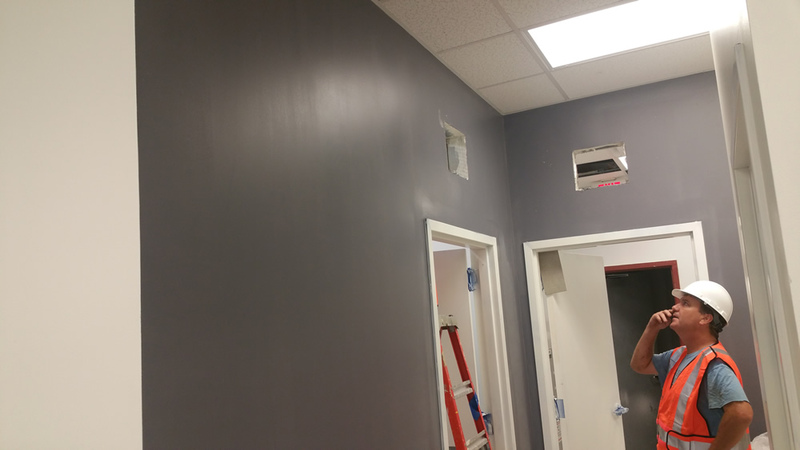 Our HVAC system includes custom duct fabrication and thermostatic controls. 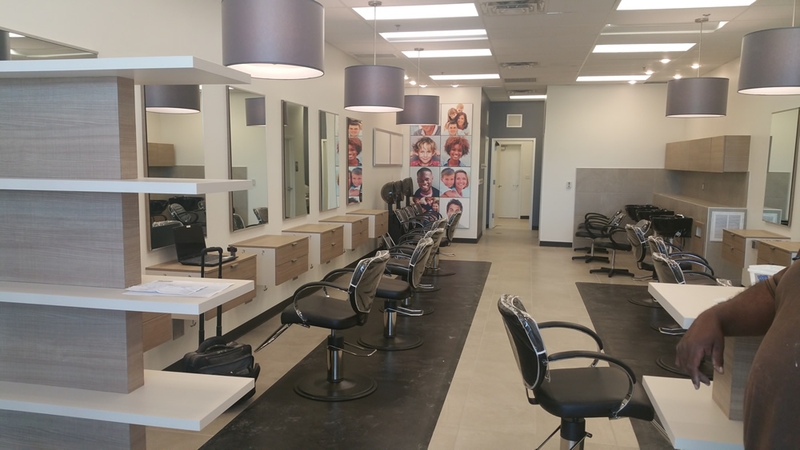 Customer and stylist alike will be comfortable in the new Hair Cuttery throughout their experience. 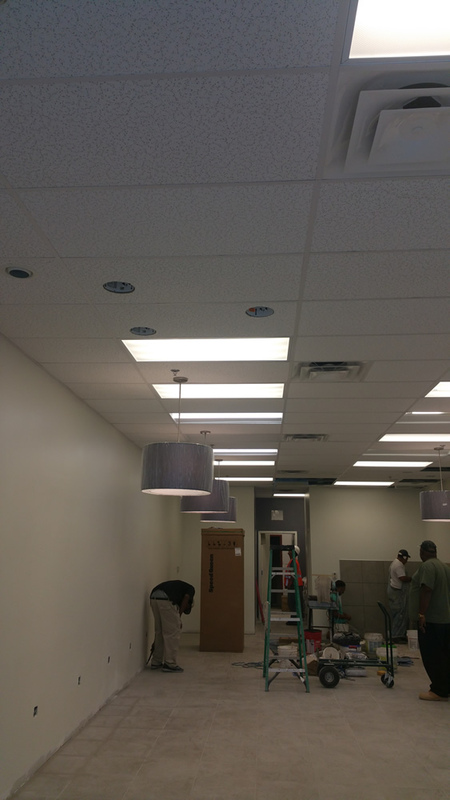 Pincus Construction created a beautiful interior with 9 bay salon to service all your styling needs. 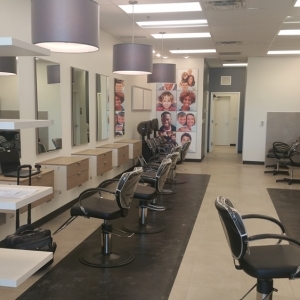 The new Newport News Hair Cuttery offers a complete line of salon services including: cut and style, special occasion hair do’s, color, straightening and curl treatments, and also a full line of waxing services. Their newest locale offers all these benefits at reasonable rates in a friendly and relaxed atmosphere. As always Hair Cuttery offers a full line of hair care products. Make sure to stop by to check them out today.